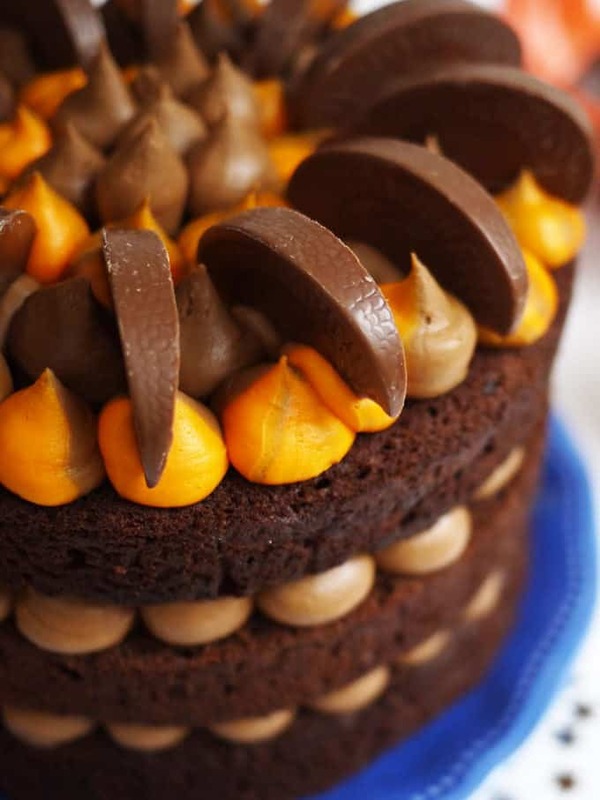 Terry’s Chocolate Orange Cake Recipe – Lovely layers of moist chocolate sponge cake, sandwiched with chocolate orange buttercream, decorated with chocolate orange segments. It’s not Terry’s Chocolate Orange Cake Recipe… It’s mine! Growing up, Terry’s Chocolate Orange always meant that the festive season had really arrived. There was nothing quite like cracking one of those blue boxes open, and if you got the orange core in the centre? Amazing. 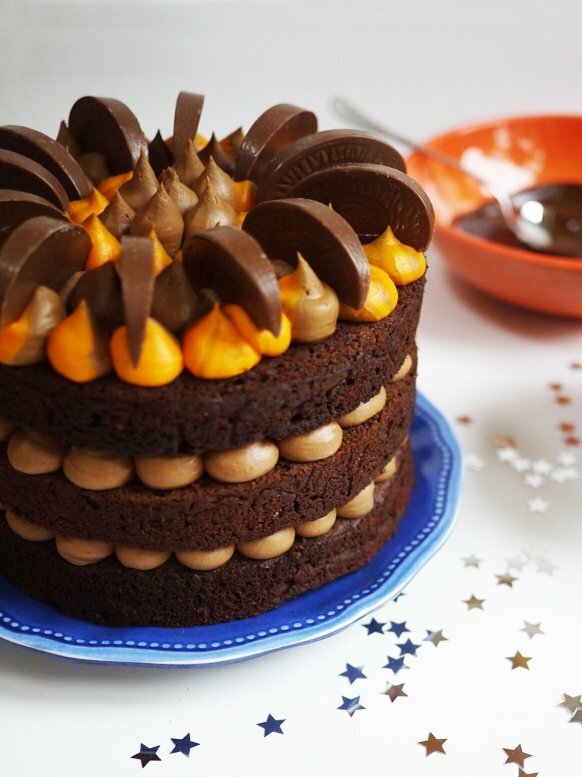 Thank heavens those blue boxes of Terry’s Chocolate Orange are now available all year, so this Orange Chocolate Cake can be the perfect treat as a birthday cake, celebration cake or just because it’s Wednesday! This Terry’s Chocolate Orange Cake Recipe is a celebration of those little blue boxes. I originally posted this recipe almost two years ago as a way of using up leftover Christmas chocolate oranges (leftover chocolate? Ha!). That feels like a blogging life time ago now, you can see the original post here: Chocolate Orange Layer Cake. I still love this layer cake, wouldn’t it make a great alternative to a traditional Christmas cake? How do you make a Chocolate Orange Cake? This layer cake is surprisingly simple to make, a basic chocolate orange sponge cake and chocolate orange buttercream, a bit of tweaking and some pretty decoration and taa daa! Chocolate orange heaven right there. Next, start to make your cake batter by taking your butter and sugar until fluffy. Add the eggs, cocoa, flour, melted chocolate and orange extract. Spoon evenly between your buttered cake tins. Smooth them out using a spatula or the back of a spoon. I tend to smooth them almost to a slight dip in the middle, so that when they rise they don’t get a big peak in the middle. 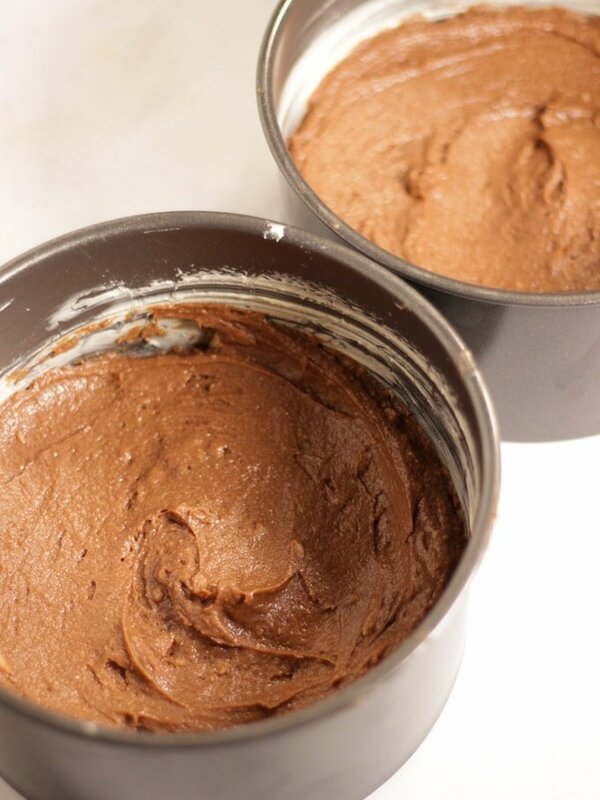 Then bake until the orange chocolate cakes are just pulling away from the edges of the tin and springy to the touch. 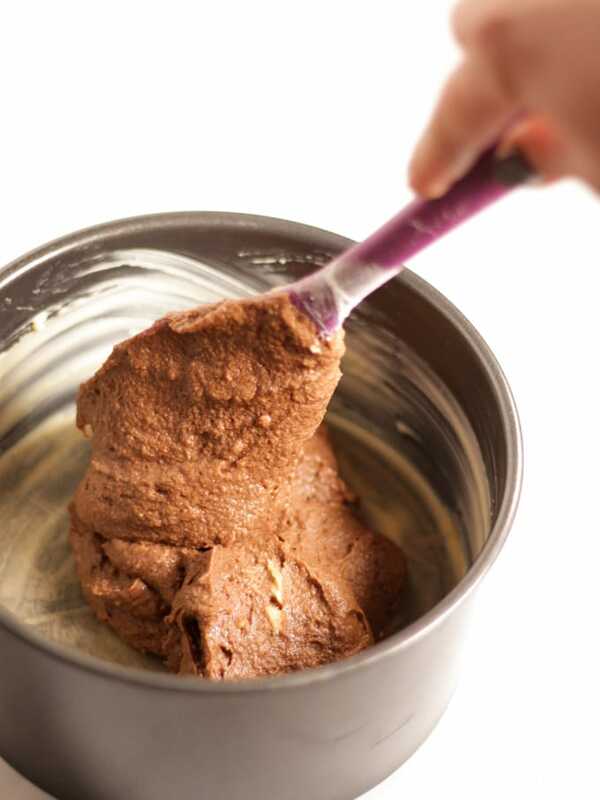 Make the chocolate orange buttercream icing, by creaming the butter, icing sugar and orange extract. Split the icing into two bowls, add the melted chocolate to one half and the orange gel food colouring to the other. 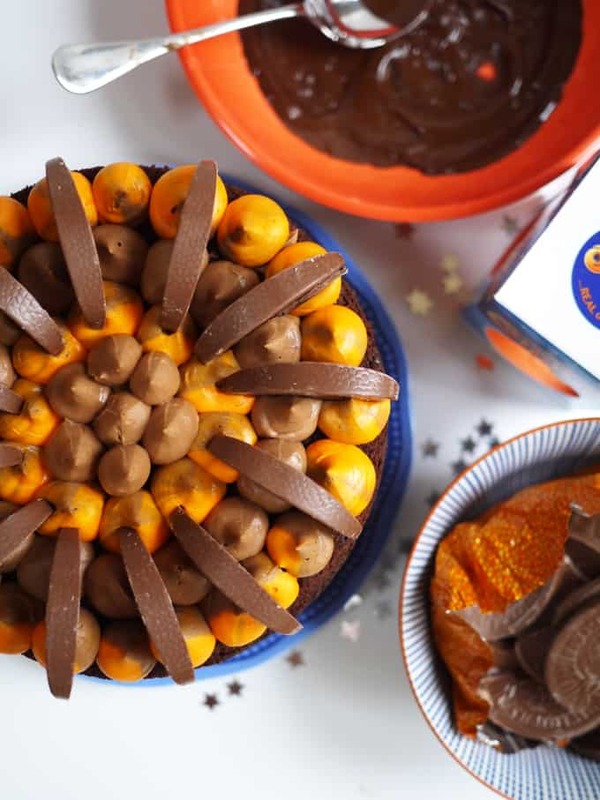 Pipe onto the cake, sandwiching the layers and, of course, decorate with your Terry’s Chocolate Orange pieces! Don’t trim and ice the cakes until they are completely cold. Terry's Chocolate Orange Cake Recipe - Lovely layers of chocolate sponge cake, sandwiched with chocolate orange buttercream frosting icing. It's not Terry's Chocolate Orange Layer Cake Recipe... It's mine! Grease 3 x 7″ round sandwich tins (or 2 x 8″). 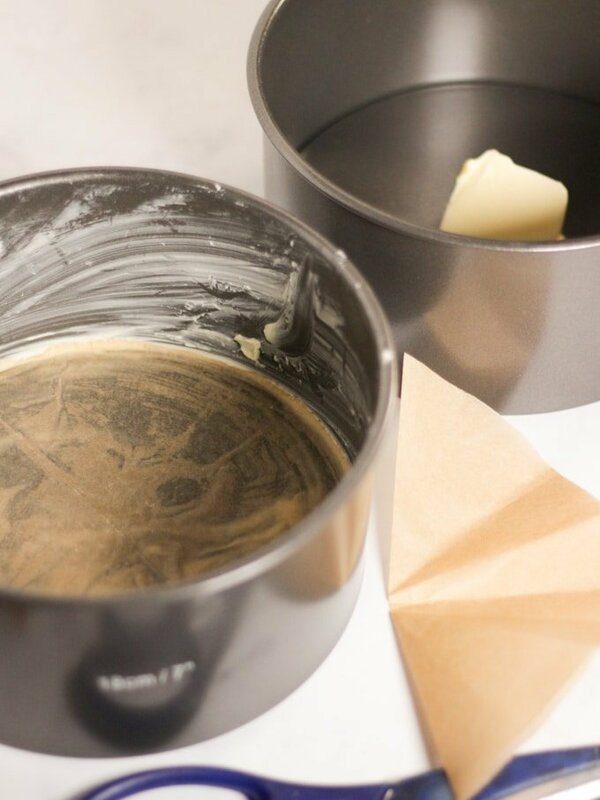 Cream your room temperature butter with your sugar until it’s pale, light and fluffy. Next, mix in the eggs, one at a time, beating really well after each egg. Don’t worry if it starts to look a bit curdled, it’ll all come good. After this, mix in your flour and cocoa. If you’ve been using a mixer, do this bit by hand. It helps to keep the sponge light. Stir in the melted and slightly cooled chocolate and the orange extract. Spoon into a your tins, smooth out with the back of a spoon. Make a bit of a dip in the middle to account for rising. Bake for about 30 minutes or until a skewer comes out clean. You might need to adjust the time by 5 minutes either way depending on your oven. Beat in your icing sugar and orange extract. Now split your icing into two bowls, weigh out 675g into one and there should be about 225g left in the other. Add 150g melted and cooled dark chocolate to the 675g bowl of buttercream. Mix in completely. Colour the other bowl of 225g of buttercream orange using Sugarflair Tangerine Gel Colour. Use a very very small amount at a time, just a tip of a knife or so, until you get the colour you fancy. If either batch of buttercream is too stiff, beat in a teaspoon or two of boiling water to soften and lighten the texture of the icing. When your cakes are completely cold, use a carving knife to level them. Just trim the top crust off. 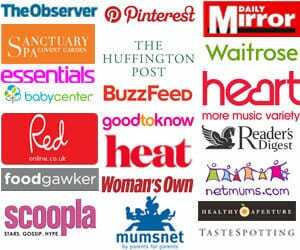 Remember, this is important, it’s not a waste of cake. If you don’t do this, with a cake this size it will be wonky. Top each layer with a spread of your chocolate buttercream. Then snip the top off of two disposable piping bags, fill one with the rest of your chocolate buttercream and the other with the orange buttercream. Pipe a circle around the outside of two of the layers, sit each on the one before. 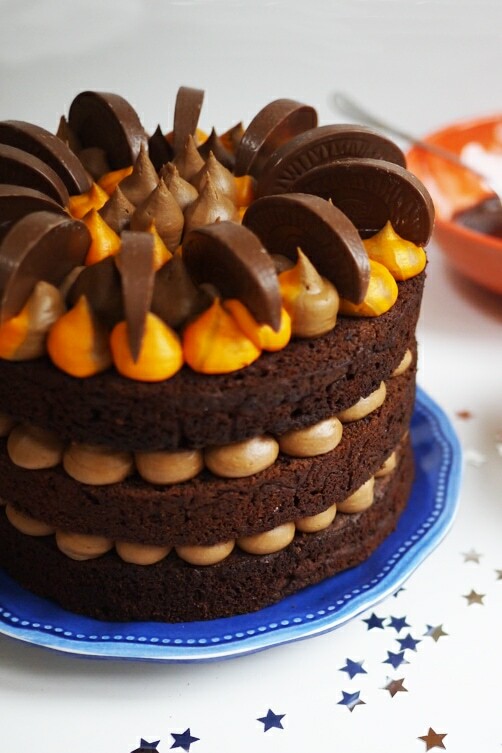 On the top layer, pipe small dollops all over and top with your segments of chocolate orange. Ooh gorgeous!! Your new photos are lovely. Once again, I am really wishing I liked Terry’s Chocolate Orange! Oh good grief Sarah! This looks utterly incredible!! 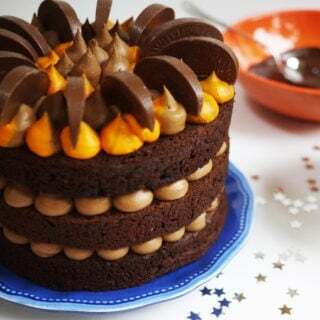 I love chocolate and orange so this would be the cake for me…if I could eat it!!! Oh Sarah that cake is gorgeous! Everyone in our house receives a chocolate orange in their stockings every year. Thank you for hosting! This cake looks amazing, you really are the queen of layer cakes! Oh that looks incredible! Chocolate Orange is my absolute favourite flavour so this is pure heaven for me!! This looks so good – I want to make my dad a birthday cake – maybe this is the answer! this looks amazing, I’m thinking of baking for my husband’s birthday this weekend. Can you make and freeze the sponges in advance?? just wondering if you made this as a 12 inch wedding cake ? made this cake for the village cake off,got joint second ,very tasty. Hi Helen, yes, you would just need to take each of the amounts, divide them by 6 (so you know the amount for one egg) then multiply them by 3 and 4 respectively to get your amounts for your mixture. Let me know how you get on! This looks so good. I’ll be baking for my husband’s birthday next weekend. I wonder if I can added baking powder, I know your recipe doesn’t need. It just a curiosity. Thank you so much for an amazing recipe. If you use self raising flour, you shouldn’t need to! Made this wow factor cake for my sister inlaws bday today. Top marks for a beautiful cake, however l used my 6″ cake tins (I don’t have 7″) and the cake rised higher than expected, which is fine as l trimmed it down so all were same height and left to bake for a further 6 mins, so that the skewer test came out clean. Flavour was great, however the cake was drier than l would have liked. Do you have any tips l could use to make it a more moist cake? Hi, I’m literally about to bake this beauty and was wondering, is the 180 temp for a fan or conventional oven? Thanks!! Have been looking for chocolate/ orange ideas for my wedding cake and this may just be the one!! I wonder if it sits well at room temperature after being iced and stacked? Hi Betty , did u make this for a wedding cake? Hi just wondering if anyone have tried fondant on this cake? And could it be dowelled so it could be done as a double tier? I would like to know if you can use cake flour instead of self raising flour? And what would the amounts of baking powder and or baking soda would be used. And can you use fresh oranges and juice instead to the extract as we don’t get that here? My son asked for a chocolate orange cake as his 16 birthday cake. I’ve used your recipe and it’s turned out beautifully and tastes delish! Have added big chunky gold 16 candles on top….wish there was an option to post a pic so you could see it. Any chance you could post this using U.S. measurements? It looks so good! Made this for a friend’s birthday – huge success, perfect balance of rich and moist, and really impressive! I ended up using orange zest and a touch of juice in place of the essence, and paprika worked well for the colouring. Can’t wait to make it again for myself!